Sea turtles have been swimming the world’s oceans since dinosaurs walked the land. Now all seven species of these ancient and enduring creatures are endangered, some critically. As threats to their survival increase – such as pollution, poaching, fishing, and coastal development – so turtle numbers have decreased by an alarming ninety per cent over the past decade. The vast distances turtles migrate complicate their conservation at an international level. Leatherbacks, for example, swim the waters of the Caribbean, Newfoundland, and the British Isles. However, attempts to save them at a local level are increasing, and visitors to the Grenadine islands in the southern Caribbean have several opportunities to witness and participate in their conservation at a grassroots level. Although they spend vast amounts of time in water, the behaviour of turtles while at sea is the least understood of all marine animals. Capable of great longevity, turtles are in no hurry to reproduce. When, after many years of floating in the sea, a female does come ashore to nest, each egg she lays has a one-in-a-thousand chance of reaching maturity. Old Hegg turtle sanctuary on Bequia, the largest of St Vincent’s Grenadine islands, works to increase these odds by helping the hatchlings through their early vulnerable years. Situated on the stunning Park Beach on the north east coast of Bequia, Old Hegg was founded in 1995 by Orton “Brother” King, a retired professional skin diver, whose dedication and passion over the years has saved the lives of countless hawksbill turtles – distinguished by their beak-like mouths. Turtles usually nest at night, laying around a hundred eggs at a time. Many are dug up by dogs or poachers and many more destroyed by eroding sand. Those that do survive take 50 to 70 days to hatch. Baby turtles always emerge at night when there are less predators around and, guided by the light of the moon, they head for the sea. It is at this critical point that Old Hegg staff step in to carefully collect the hatchlings as they emerge. They will then feed and protect them at the sanctuary for three years before releasing them into sea, by which time their chances of survival are significantly increased. Year round, visitors to Old Hegg can see around two hundred turtles of various sizes and ages at any one time. Visit during the winter and, if you’re lucky, you’ll see big bowls filled with recent hatchlings – so tiny they fit into the palm of your hand. Even if a turtle reaches maturity, its struggle for survival is far from over. 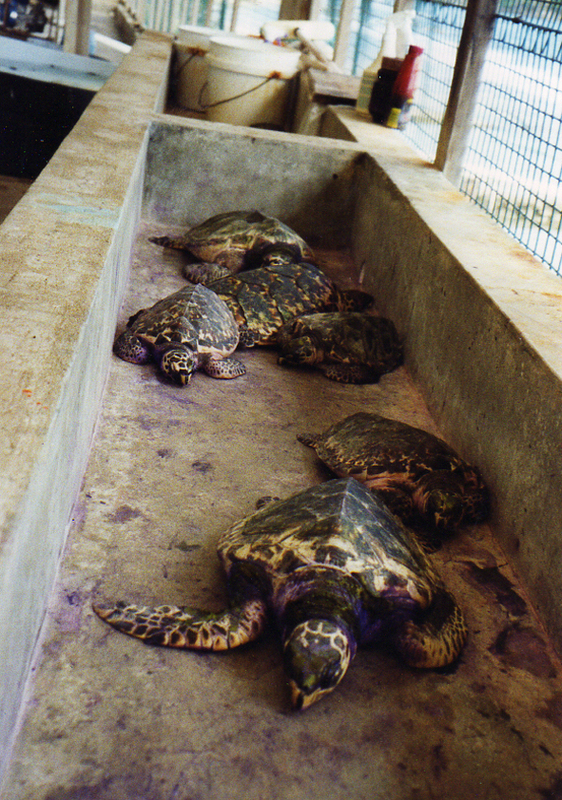 Kido Ecological Research Station, on the north west coast of Carriacou – a Grenadine that forms part of the nation of Grenada – works with schools, local communities, and visitors to conserve turtles of all ages in this region. From March to September, visitors and Kido volunteers patrol Carriacou’s beaches at night to measure and tag female turtles, conceal and mark their nests, and simply watch these amazing creatures while they are out of the sea. Kido’s commitment to protecting turtles does not end there. They save countless from the cooking pot by buying them at local markets. After tagging, the saved turtles they are released back into the ocean, with the understanding of local fisherman that if caught again they will be recorded and released. The work of organisations such as Kido and Old Hegg is helping to stabilise turtle populations. Visiting Bequia and Carriacou and getting up close to these ancient creatures, whether they are nesting or resting, is a rewarding and fascinating experience. And each visit, through support and the injection of tourist money, contributes and supports local efforts to create a future for sea turtles, rather than condemning them to follow the dinosaurs into extinction. 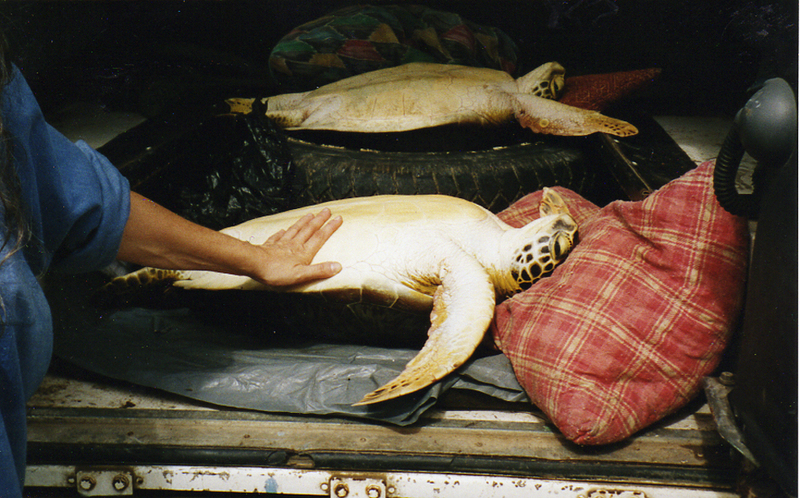 Don’t buy products made from turtle shells. 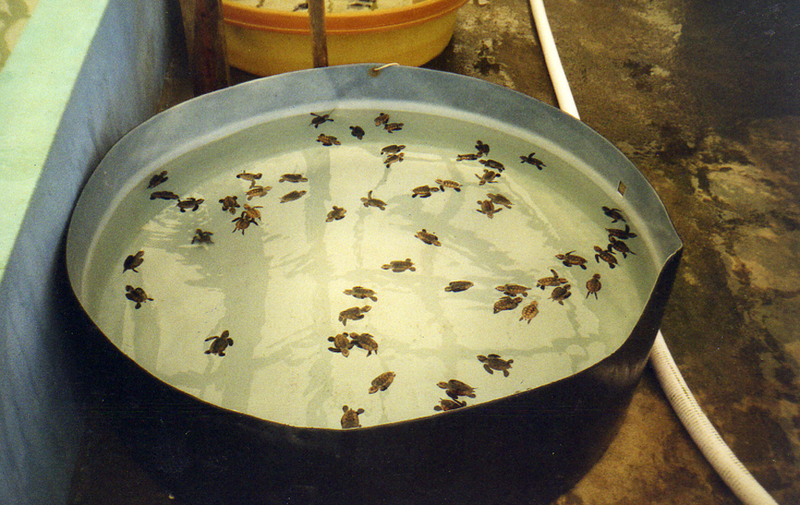 Avoid eating dishes containing turtle meat or buying it. When visiting beaches where turtles nest, walk close to the sea to prevent the sand above their nests from compacting and making it hard for new born baby turtles to dig their way out. Turtles mistake plastic bags for jelly fish and try to eat them, don’t throw any into the sea or leave them on the beach. If you come across a turtle while it’s nesting, don’t approach it. Keep a distance of 15 metres and don’t shine any bright lights at it. If disturbed or disorientated the female will return to the sea before she has laid and dump all of her eggs into the ocean. Tags: bequia, carriacou, kido projects, old hegg, sea turtles | Permalink.